Congratulations to Michael Malm, Winner of Event #8: $2,500 Eight-Game Mix ($225,104)! The 8th event of the 2013 World Series of Poker is officially in the books. After three grueling days of mixed game play, it was Michael Malm who rose above the star-studded field to claim the title, the gold WSOP bracelet, and the $225,104 in first-place prize money. Malm's story proves the old adage that is so frequently spoken at the WSOP that "Anyone can win,". Malm, who recently chopped a Daily DeepStack tournament here at the WSOP, was going to register for another but found himself too late. Registration for this event, however, was still open. He decided to hop in and give it a go. Little did he know three days ago that he would be the one to rise above some of the top professional mixed game players in the world and earn himself his first WSOP championship. The third and final day of Malm's journey began with a grand total of 19 runners returning to the felt. One by one the professional players began to hit the rail. 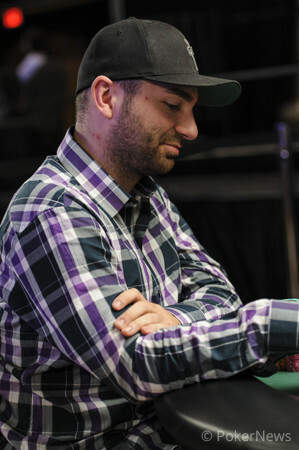 The likes of Josh Arieh, Robert Mizrachi, Chris Reslock, Randy Ohel, and Chris Tryba all fell before the final table was reached. Travis Pearson became the official final table bubble boy during a hand of No-Limit Hold'em where he lost a coin flip to Eric Crain in dramatic fashion. Marco Johnson was eliminated in eighth place just a few hands later when his ace-king was outdone by last year's runner-up Greg Mueller's ace-queen. Shorty thereafter, Mike Wattel was also slain by Mueller and had to settle for a seventh place finish. The next casualty came just a few mere moments later when Crain made a wheel in Omaha Eight-or-Better to bust Dario Alioto in sixth place. Michael Hurey was next to follow when he ran into Steven Wolansky's pocket aces in limit hold'em. The final four played for quite some time before Crain found himself the fourth-place finisher. The last casualty before heads up play was none other than last year's runner-up Mueller. Mueller was looking to improve on his finish and clinch the bracelet, but was unfortunately forced to settle for third place after a hand of limit hold'em resulted in his demise. Malm and Wolansky began heads up play virtually even in chips and it was actually Wolansky who was the first to pull away. Wolansky had Malm down to just around two big bets at one point. After a key double up and a a grueling few levels of play, the match finally came to a head during a pot-limit omaha round. After a preflop all in, Malm was able to make the nut flush on the river and clinch the bracelet, eliminating Wolansky in second place in the process. 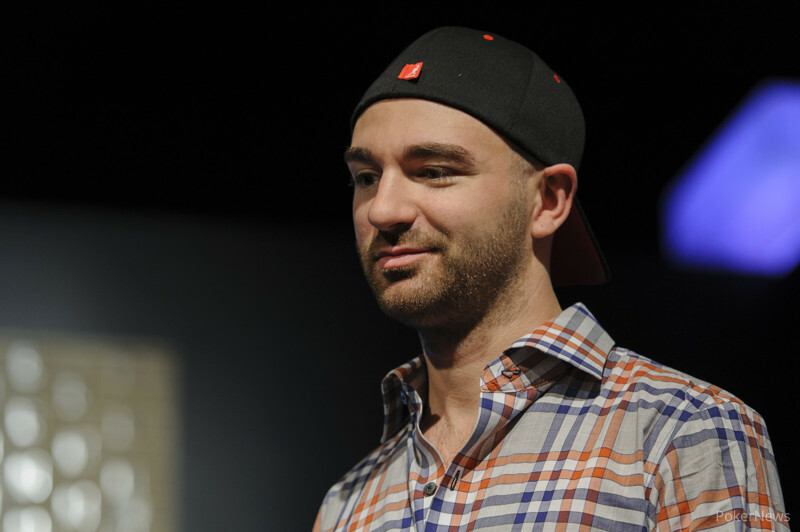 PokerNews extends its congratulations to Malm on his spectacular run and first WSOP victory. Be sure to stay tuned to our Live Reporting page as we continue to provide live updates from the tournament floor of the WSOP! Michael Malm limped on the button. Steven Wolansky raised to 90,000 and Malm replied by raising pot. Wolansky moved all in and Malm called. Wolansky paired up on the flop but Malm was adamantly cheering for a diamond. Wolansky made two pair on the turn when the hit, but it was all for naught as the struck the river and gave Malm the nut flush for the win. 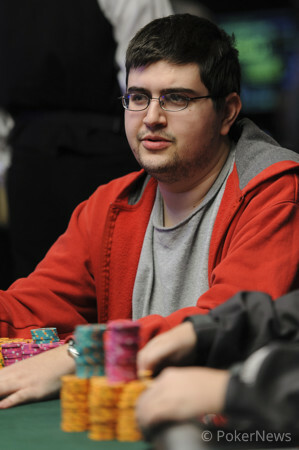 Wolansky was eliminated in 2nd place and will collect $139,034 for his efforts. Michael Malm completed with a four, and Steven Wolansky called with a five. Wolansky called down to sixth, when he bet after being checked to. Malm called, then saw Wolansky bet into him again on seventh street. "Big pot," he said. Finally, he called, turning over a ten-eight that bested Wolansky's ten-nine. The flop read and Michael Malm checked. Steven Wolansky bet and Malm called. The turned and the action repeated with a check, bet, and a call. Finally, the finished the board and Malm checked a third time. Wolansky bet once more and Malm went into the tank. After about forty-five seconds of deliberation, Malm dropped in a call. "I have a flush," said Wolansky, fanning . He scooped the pot and is now at 980,000. 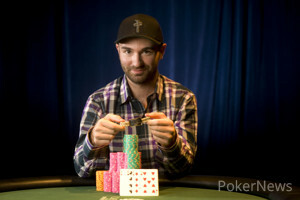 Michael Malm completed with both players showing an eight, and Steven Wolansky raised. Malm called. They got it all in on sixth street after Wolansky continued betting. Malm needed to catch up with a straight or flush and hope Wolansky didn't fill up. He squeezed out a brick, and Wolansky doubled. Steven Wolansky had the button. He popped it up to 65,000 and Michael Malm defended his big blind. The flop brought and Malm checked to the raiser. Wolansky fired 75,000 and Malm called. The hit the turn and Malm checked once more and called after Wolansky slid out 160,000. The finished off the board. Malm checked a third time. Wolansky announced a bet of 325,000. "Didn't think you had the balls to pull that trigger," said Malm to Wolansky. He sat thinking. Minutes ticked down on the clock as Malm stacked and and disassembled stacks of chips while thinking and muttering to himself about the hand. "This is TOUGH," he emphasized after about three minutes. Four minutes into his decision was enough for Wolansky, who called the clock on Malm. He had sixty seconds to act on his hand or it would be declared dead. Malm continued to think and used his time all of the way down until there were just six seconds left. He pushed out a call. Wolansky showed for just king-high. Malm rolled up for a pair of sixes and the best hand. He clenched his fist tightly and did a fist pump to himself as he dragged in the pot. He now is sitting on about 2.27 million in chips. Michael Malm raised to 65,000 from the button, and Steven Wolansky called. The flop came , and Wolansky check-raised Malm's 65,000 bet to 155,000. Malm called. Wolansky kept up the aggression on a turn, firing 180,000. Malm raised to 380,000, and Wolansky folded. Players are back at their seats and heads-up action is resuming early.